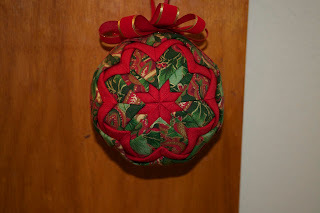 Over my holiday break I learned how to make fabric ornaments. 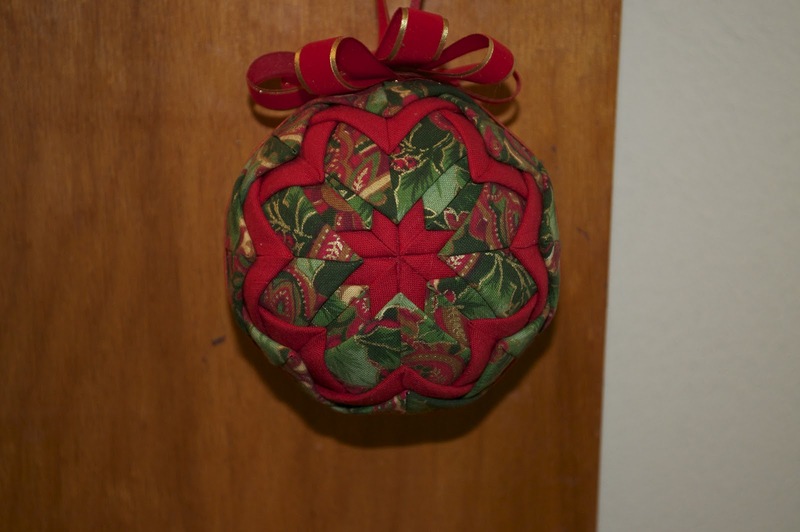 I made a few traditional looking ones then made myself a set of 6 that would go with my tree (which is non-traditional looking). Over 200 stick pins go into each ornament! 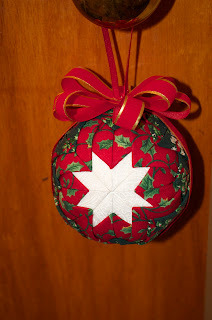 I think these are so unique and I can't wait to make more for next Christmas! I also made this adorable applique snowman wall hanging. I took a long time to make, but I love all the detailing it called for. It really gives it some character!